In the 19th century, the United States enjoyed the advantages of an international security environment propitious to liberalism and democracy without having to incur the costs of empire necessary to sustain those conditions. America could be liberal without having to be imperial—although the Indians, Mexicans, and Filipinos might well disagree. 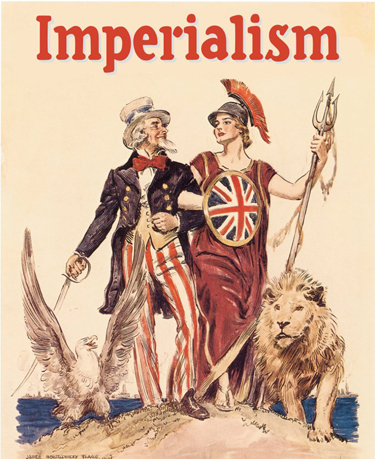 Beginning with World War II, however, if America wished to remain liberal and democratic, it would have to become imperial in many of the ways Britain had been—including playing a leading role in Europe and on the oceans. Indeed, America would have to do much of what the British Empire had done in the previous century on an even larger scale. The efflorescence of liberal democracy in the latter half of the 20th century—the growth of international trade and support for democracy and human rights to the point where the total package appeared to be the “End of History”—was not a spontaneous, natural development. It was driven by U.S. prestige and power. Germany is now deeply committed to political liberalism, and Japan may in some respects be more consumerist than the U.S. itself. But these states were, of course, remade by the U.S. after World War II. This is not to say there aren’t genuinely local traditions of liberalism or democracy to be found among America’s allies, nor that American arms can simply transform any other kind of regime into a liberal and democratic one: the apparent success of nation-building in Japan and Germany owed as much to the threat that the Soviet Union posed to those states as to anything America did. The Germans and Japanese had the most urgent incentive imaginable to make their newly liberal and democratic constitutions work—because aligning with the U.S. was the only insurance they could buy against being annexed by the Soviet empire instead. 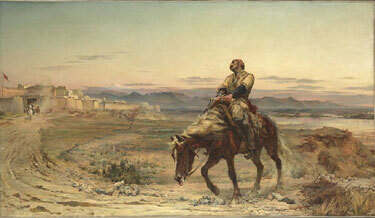 There is a crucial difference between the Napoleonic, land-empire mentality that wants to revolutionize other states—a mentality taken to extremes by the Soviets and exhibited with considerable fervor by many neoconservatives and liberal hawks today—and the example set by Britain in the 19th century, which was a liberal but not revolutionary world power and encouraged liberalization mostly though indirect means: via trade, culture, and above all, by upholding a relatively un-Hobbesian global security environment. Liberal anti-imperialists today, whether libertarian or progressive, make the same mistakes Britain’s pacifists and America’s interwar noninterventionists once did: they imagine that the overall ideological complexion of the world, as determined by the state most capable of projecting power, need not affect their values and habits at home. They believe that liberalism is possible without empire. the Archives of Never Yet Melted in the '“End of History”' Category.